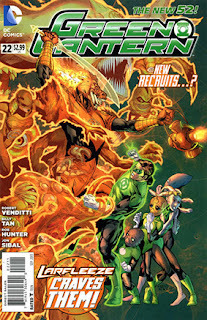 • PLOT SUMMARY: Larfleeze arrives on Oa to find the Corps at their most desperate, while Hal is forced to throw new Green Lantern recruits into a battle they might not win! And don't miss the birth of a brand new threat. (W) Robert Venditti. (A) Billy Tan, Rob Hunter, Jon Sibal. 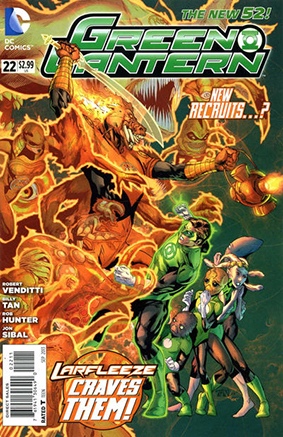 Cover by Billy Tan.